The three generations of the Delord Family of 17 Cumberland Avenue were prominent citizens in the North Country community. Henry Delord came to the Plattsburgh area as a French immigrant, fulfilling the American dream of success in the early 19th century. From postmaster to Congressional Medal of Honor, there is much to learn about this family. 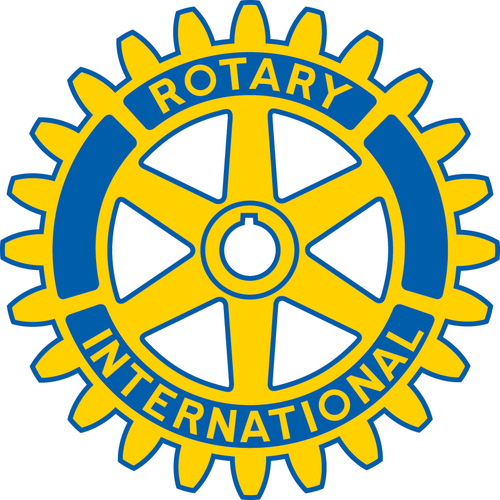 Find out more about the Delord Family! This is the only known portrait of Henry Delord, painted when he was about 54 years old. Henry had this portrait, and those of his wife Betsey and their 6-year old daughter Frances Henrietta, painted by itinerant artist Abraham G.D. Tuthill in 1818. Two years later he sent then to his sister Julie in France, whom he had not seen for almost 20 years. Henry (Henri) was born to a middle to upper class family in the southern French city of Nismes on July 15, 1764. At the age of 20 he emmigrated to the island of Martinique in the French West Indies. He worked on his uncle’s sugar plantation, later moving to the island of St.Lucia. Henry’s crops were cotton and sugar cane and his labor was provided by his numerous slaves. When the turmoil from the French Revolution, and war with England, caused an uprising among the slave population, Henry fled to the United States. 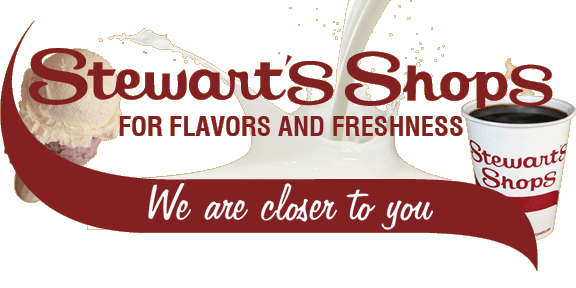 He traveled to northern New york as a land agent for Bernardous Swartout, a large landholder. Henry soon settled in the Quaker establishment in the town of Peru, about 10 miles south of Plattsburgh, NY. In 1799, Henry married Betsey Ketchum. He was 35, she was 15. In 1810, he bought the cottage and three acres of land in Plattsburgh owned by Elizabeth and Judge James Kent. Kent later became the first Chancellor of New York State. Henry was seeking a home closer to the hub of commerce in Plattsburgh and the shipping on Lake Champlain. In 1811 and 1812 he expanded the home to the full-size Federal-style house that exists today. Henry became a gentleman farmer, experimenting with many herbs and vegetables. He established the Red Store on his property, selling everything from lumber to liquor to lace. Prior to the Battle of Plattsburgh in 1814, Henry and his partner William Bailey were the only merchants in the city to agree to Gen. Macomb’s plea to extend credit to the officers and enlisted men stationed in the area. This led to several bankruptcies as he was unable to collect on the IOUs and the other damages caused by the war. He died in 1825 at age 61 and is buried in Riverside Cemetery in Plattsburgh. She was born as Elizabeth (Betsey) Ketchum in Redhook, NY, in 1784 to Jospeh and Phoebe Ketchum. Joseph was a veteran of the American Revolution who came to Plattsburgh in the first wave of settlers in 1785. The proprietors put him in charge of the new forge on the Saranac River and he was on his way to becoming one of the new industrialists in the area. But he died suddenly in 1794 while on a business trip to New York City and was buried in Trinity Church yard. He left a widow and three daughters, one of whom was Betsey. Phoebe had three daughters to feed and take care of. When Henry Delord proposed marriage, it probably seemed like a good idea to marry Betsey, who was then 15, to a successful 35-year-old businessman. Marriages of that age difference were very common back then and quite acceptable. Betsey was well educated, could read and write, and brought to her marriage wide family relationships. She and Henry Delord were married in Peru, NY, in December, 1799. Their first and only child, Frances Henrietta Delord, was born in Plattsburgh in October, 1813. Betsey’s daughter and husband both died before she did. 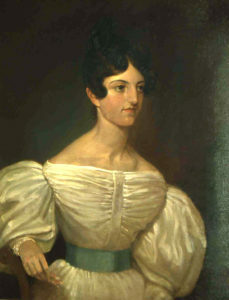 After Henry’s death in 1825, Betsey took over governance of her grand-daughter – Frances (Fanny) Delord Webb – with Fanny’s father Henry Webb. 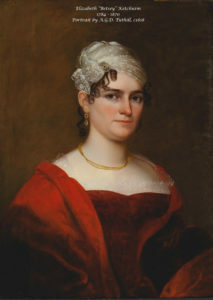 Betsey remarried to William Swetland, a prominent attorney in Plattsburgh and New York state, on June 6, 1829. He had been a friend of the Delord family prior to Henry’s death. Betsey died in Plattsburgh on May 23, 1870, at the age of 86. To this day, her exact burial site is not known. 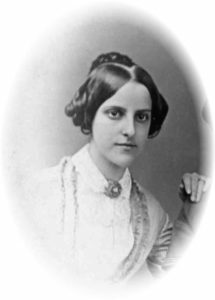 Frances Henrietta Delord Webb provided us with a glimpse of the youth of Plattsburgh during the early 19th century through her correspondence. Fashion and fun, along with a good dose of Christian propriety are topics of the letters exchanged with family during Frances’ boarding school days in Champlain. The suggestion that she “could get a fur cape for 8 or 9 dollars for her next sleigh ride party” in a letter dated 1832 hints that the focus of young ladies has not changed much over the years. This is the wedding portrait of 18 year old Frances Henrietta Delord. She married Henry Livingston Webb, a 37-year-old merchant from Albany. The wedding took place in the Gold Parlor of the Delord House on July 18, 1832. The wedding dress, silk bouquet, and slippers, which cost the unheard of sum at that time of $47.19, are still in the museum collection. Through the journal of her honeymoon trip to Europe in 1832-33 we get to “see” the room which Napoleon remained in three days on his way to Elba; to converse with Lafayette; and how she shows imprudence by standing too close to the screen that females must remain behind when viewing the Pope. Sadly, only a year had passed from these events when Frances Henrietta died barely three weeks after the birth of her daughter, Frances Delord Webb. 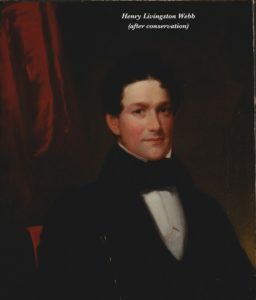 This is one of two portraits of Henry Livingston Webb in the museum collection. 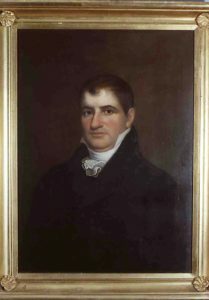 He was born April 5, 1795, ninth of ten surviving children of Joseph Webb Jr. and Abigail Chester, both of whose portraits are hanging in the museum. The Webb family was established in Hartford, CT, and George Washington stayed in the home of Henry Webb’s parents in May of 1781 to plan the Yorktown Campaign with Gen. Rochambeau. Henry was in the import-export business of china porcelain and crockery in Albany, NY. He met Frances Henrietta Delord while she was on a trip to Albany to visit friends. They were married on August 13, 1832 and went on a honeymoon trip to Europe. Upon their return, she was pregnant with child and delivered her daughter, Frances Delord Webb in 1834 in Albany. The mother, Frances Henrietta, died three weeks later of childbed fever. Henry Webb’s young daughter was taken to Plattsburgh by her maternal grandmother Betsey Delord, for her first four years. Henry then moved Frances (Fannie) to the home of his maiden sisters in Hartford, where they saw to her education and finishing as a young woman. 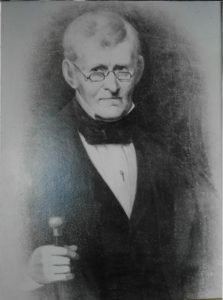 Henry’s health deteriorated and he sold his Albany store in 1844, ten years after the death of his wife, Frances Henrietta. He died in Hartford on October 12, 1846. - As a self-taught doctor/pharmacist, Fannie used her knowledge and connections to administer to the community, especially the poor. - She provided soup from her own kitchen as she visited the poor. - As a social activist, Fannie helped create and provided ongoing support for the Home for the Friendless for orphans and destitute women. - As an inventor and businesswoman, Fannie created and patented an ointment aptly named Fanoline. regular column in the Plattsburgh Sentinel newspaper. She traveled to many states and some national conventions. - Provided a Sabbath service at the county jail for over 20 years. Other than the 25¢ per tin for the Fanoline, Fannie received no payment for any of the services she provided. It was her belief that since she was fortunate to not have to work, she should give to the community. Besides her community service, Fannie continued to entertain family, friends, and guests at dinners and teas in her home. In many ways, Fannie was in the forefront of the women’s rights movement with her social activism on behalf of the poor, the insane and the intemperate. When Fannie died in 1913 her will left the house and some money to the Physicians’ Hospital, the furnishings and personal items were to be placed in a museum and all personal correspondence and all the portraits, except the one of Henry Delord, were to be burned. For the next 12 years, the Hospital could not secure a buyer for the house and relied on Fannie’s personal maid to be its caretaker. In1925, philanthropist William Miner purchased and restored the house and set it up as a museum. 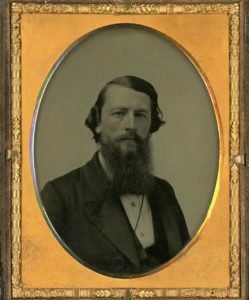 This photograph of Francis (Frank) Bloodgood Hall was taken in 1856 with Fannie for their wedding portrait. He was born in New York on November 16, 1827, the son of Major Nathaniel Nye Hall and Margaret Bloodgood. Frank grew up in Hartford, CT, and Schenectady, NY. He graduated from Princeton Theological Seminary and was a Presbyterian minister all of his life. He married Frances (Fannie) Delord Webb on May 14, 1856. Frank was a chaplain for the 16th New York Regiment during the Civil War. He kept an extensive journal describing his camp life during the war. He refused any pay for service to his country. He was at the battles of Fredericksburg, Chancelorsville, and Salem Heights, VA. At Salem Heights he rode his horse out onto the battlefield to rescue wounded soldiers, and he was later awarded the Medal of Honor by Congress for that bravery in combat. After the war, he and Fannie returned to Plattsburgh and he established the Peristrome Presbyterian Church. He was active in the Plattsburgh community and every year took a long hike in the Adirondack Mountains with friends. He was a minister to the prisoners at Dannemora state prison; a member of the State Charities Aid Association; an advocate for Fresh Air Children; and a frequent visitor to soldiers at the Plattsburgh Barracks. He joined his wife in the production of Fanoline skin salve. Frank died at the Kent-Delord House on October 4, 1903. Betsey Delord and William Swetland married on June 6, 1829. It was the second marriage for both. Swetland had two daughters, Lucy Ann (age 11) and Henrietta “Hetty” (age 8) while Betsey had Frances Henrietta (age 15). All now lived in the Delord House. Swetland, a graduate of Middlebury College, was a prominent lawyer and civic leader in Plattsburgh. The stories of the Kent-Delord House and its occupants could not be told without the dedication and perseverance of the group of women who worked there as housekeepers, maids, and cooks and the handyman. The core of this group were immigrants from Northern Ireland. All stayed in the house until their deaths, the last in 1943 – thirty years after the death of Fannie! 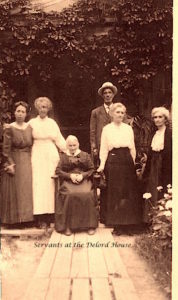 Catherine Dowling (seated in the center) had been Fannie’s personal maid and was the first to see the house as an historic community treasure. Stories have her offering to show the house to tourists for 25¢. She became Jeannette Tuttle’s ally in preserving the house’s contents and the stories of the Delord family. After her death in 1924, Margaret “Maggie” Shanks continued as caretaker until her death in 1933 when Margaret Kirkwood served in that capacity until her death in 1943.